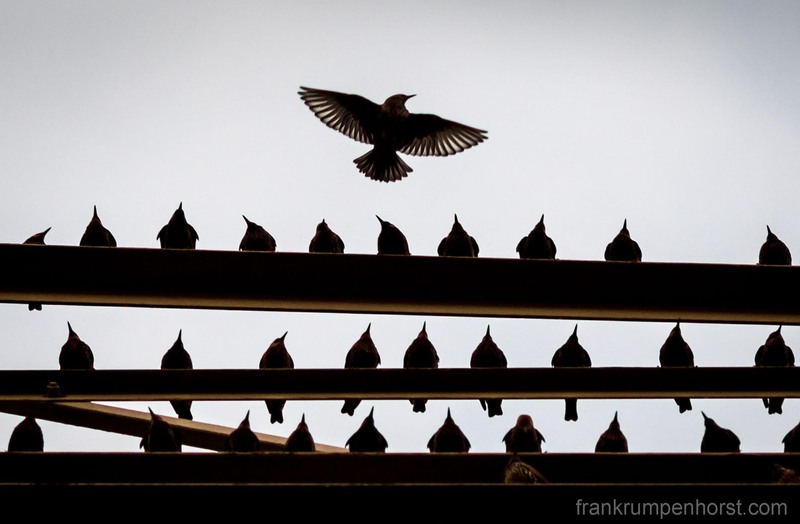 Starlings sit on a power pylon (well, not all of them) in the north of Frankfurt, Nov 15. This entry was posted in animals, birds, germany, ornithology, Photo, Photography and tagged black and white, migrating birds, power line, power pole, power pylon, schwarzweiß, staling, star, stare, starlings. Bookmark the permalink.